What does third party car insurance mean? 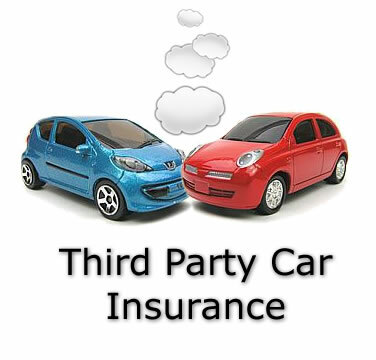 The definition of third party car insurance is the first party (the individual who purchases the car insurance), purchases the policy from the second party (the insurance company). This insurance policy covers the third party (a person who may claim against you due to an accident that was your fault). The most basic legal form of car insurance is third party. Third party car insurance essentially covers everything except you and your car and is therefore usually considered to be the most appropriate cover for vehicles of little value. At least that’s how it used to be not so long ago. Although car insurance companies may vary with the particulars that they cover for third party car insurance, the table details what is typically covered for third party only. Third party car insurance used to be the favourite among new and young drivers as it was unquestionably the cheapest type of car insurance available. Statistically however, it is the new and especially the young drivers who cause the most accidents and as a result, cost the insurance companies the most money. As car insurance companies make the most profit from drivers of 25 years and older due to less accidents, car insurance companies would rather insure older drivers and not deal with young drivers at all. To deter young drivers, car insurance companies have significantly raised the cost of third party car insurance to equal or exceed the cost of fully comprehensive car insurance. It may still be possible to find cheap third party car insurance, but generally, long gone are the days when a young driver can affordably insure their car. When searching for the cheapest, most affordable car insurance, use a combination of independent insurance providers and price comparison sites. Get at least three quotes or more if you have time and search or ask for quotes on not only third party, but third party fire and theft and fully comprehensive car insurance, plus any other types of car insurance ideal for young drivers. Fully comprehensive can often work out cheaper than third party car insurance. Increasing car insurance excess when taking out a policy is often a good method of lowering the overall cost of the insurance policy. However, there is no excess to pay on third party car insurance as the first party (the policyholder) cannot make a claim. When getting quotes for types of car insurance other than third party only, there will be an excess. The excess is what you will need to pay due to an accident, fire or theft of your vehicle. The higher the excess you agree to pay, the cheaper your car insurance. Below is advice on finding cheap third party car insurance quotes. Choose your vehicle carefully Car insurance groups range from 1 to 50. Group 1 is the cheapest. Choosing a group 1 car to insure could save many hundreds off your third party car insurance premium compared to a higher group. See Best Cars for Young and New Drivers for a list of the cheapest cars to insure. Obtain quotes on all insurance Though it would seem obvious to most that third party only insurance is the cheapest, this is often not the case. Whilst obtaining quotes, search for all car insurance types including fully comprehensive. Additional driver If you are a new or young driver, adding an experienced driver such as a parent to your policy may help to reduce your third party premium. Vehicle modifications Avoid modifying your car from its factory standard as any modification that may increase its performance or that may make it more desirable to thieves can increase your quotes. Although typically associated with comprehensive car insurance, some providers do offer the ability to drive another car other than your own when the policyholder has third party only insurance. It is unlikely that third party only insurance will cover the ability to drive other cars, so check your motor insurance policy documentation or speak to your provider to clarify before attempting to drive another vehicle than your own. If you are permitted to drive another vehicle other than your own, you will only be covered for third party only on the other vehicle.